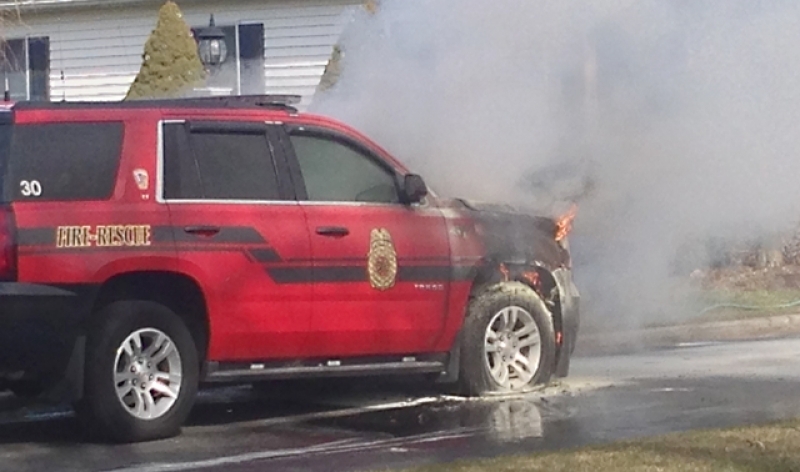 Cutchogue Fire Department Chief Bill Brewer’s department vehicle caught fire in the driveway of his Cutchogue home Saturday morning. Chief Brewer was not home at the time and there were no injuries, according to 1st Assistant Chief Larry Behr. 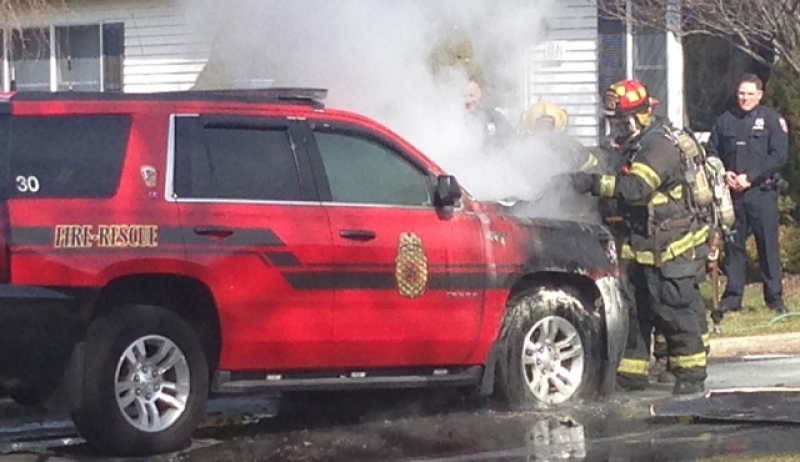 The vehicle, a Chevrolet Tahoe, appeared to be destroyed by the engine fire. The vehicle was not operating when the fire started, Mr. Behr said. "His kids were home and they looked out and the thing was on fire," Mr. Behr said. The car hasn’t been driven since Friday, he added. Southold Town police said the cause of the fire does not appear suspicious. Mr. Behr said the vehicle was “brand new,” but did not specify the vehicle’s year. Police responded to the scene at about 10:30 a.m. and the fire was already too big to contain with a fire extinguisher. The Cutchogue Fire Department responded to the house at Silver Coat Road off Route 48 and quickly put out the flames, which were mostly contained to the front of the vehicle. The exact cause of the fire was not immediately clear, but the fire crews speculated it could have been electrical.